If you aren’t familiar, Real met Cádiz in Spain’s national cup competition earlier this week. They ended up easily defeating the third-tier club on the scoreboard, but more importantly, Real lost on procedural grounds. Denis Cheryshev, who spent last season on loan at Villarreal, accumulated three yellow cards in as many games in the Copa while playing for Villarreal last year and thus was handed an automatic one match suspension. Only thing was, Cheryshev got that third yellow in Villarreal’s final match in the competition; this meant he couldn’t serve his time until the first round of this year’s Copa, after he had moved back to Madrid. Immediately, though, my mind went towards how Madrid would get out of this. The first and simplest way was for Real to convince Cádiz not to challenge the call, maybe in exchange for some money or favor down the line. It was clear later that night that this would not work, as Cádiz planned on filing a complaint. “After having analysed events during our board meeting, the suspension on account of the player having picked up three yellow cards should not be applied because nobody informed the player of the suspension, as is stipulated in article 41”. “It is an essential and basic principle of any law, that the suspension does not become effective until such time as its recipient is notified. Real Madrid had not been made aware of it. The requirement to have personally notified the player has been recognised by the Sports Tribunal. Even if we did recognise the suspension as being valid, the suspension must be overruled on account of article 112 of the Disciplinary Code, which states that after three rounds of the competition, all cards are wiped out. We believe that the suspension is not valid. 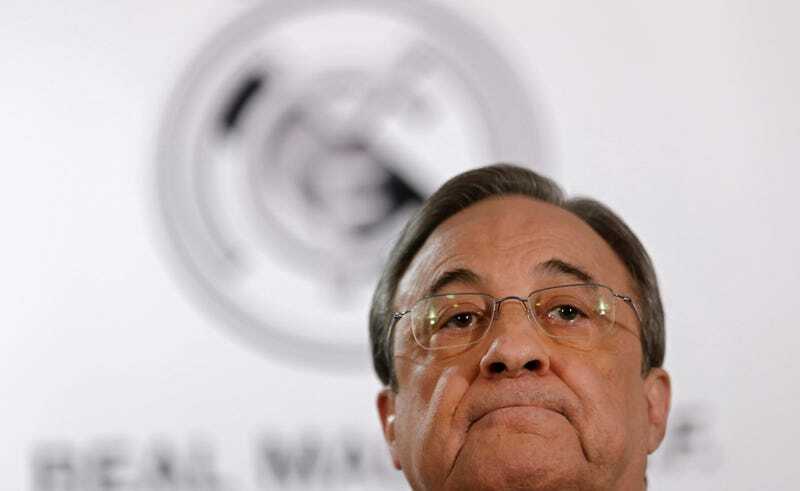 In sum, Real Madrid did not field an ineligible player”. You could maybe see this line of reasoning if nobody at all had been notified of the suspension, but as a document AS acquired that same day proved, the cup’s officials did in fact notify Villarreal. Villarreal’s president himself basically supported that he knew what was up, albeit in a roundabout way. Thus, by notifying the club Cheryshev played for at the time, the Spanish federation dispatched with its duties of notification. From there on, it was on Cheryshev to keep track of his card collection (as most players do instinctively) and remember what that yellow in last season’s match meant, and for Real to check the record before putting him into a match. It shouldn’t be that hard, which is why the rule is what it is. Today, the Spanish soccer federation made Real’s disqualification official. Still, Real remained undeterred. Rather than take their lumps, they have decided to appeal the ruling to the Spanish Sports Tribunal. For support, they’re citing the case of Laura Gallego, a goalkeeper for Lorca in Spain’s women’s league. In that case, Gallego was sent off in a cup match only to play in the next leg anyway. Lorca’s opponent complained, the federation supported it, and Gallego’s club was DQ’d. However, Lorca appealed to the tribunal and won, arguing that since neither Gallego nor the club were ever notified that keeper had been suspended—the competition did try to notify the club, but sent the relevant papers to the wrong fax number—nobody had any way of knowing about the suspension. The tribunal agreed and the disqualification was overturned. In a sane world, Real’s last ditch effort to squirm out of this would fail for a number of reasons: Villarreal were actually notified, in contrast to the Gallego incident; the whole thing was no great secret, since Real’s error was recognized by the media almost right after kickoff (and actually, a fan tried getting in touch with the club to warn them before the game started); and what could be somewhat reasonably overlooked by a small club on the much smaller women’s level isn’t justified for one of the biggest sports teams on the planet. And yet it still doesn’t seem real that the biggest club in Spain will get kicked out of this tournament on a technicality. Whether the club does lose the appeal or if a mysterious federation official conjures up an escape plan at the last minute, it will be hilarious either way.